Low blue-grey clouds hang over a patchwork of green hues. 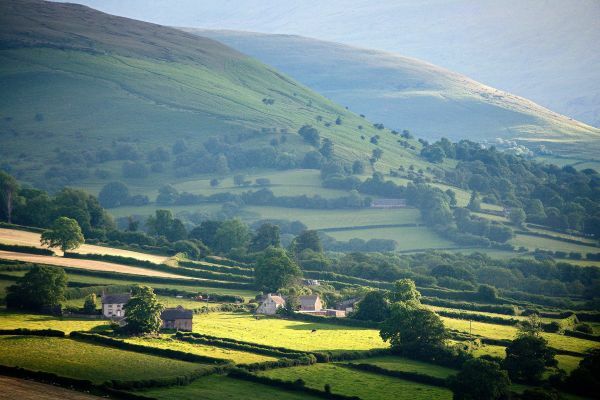 Craggy tableland punctuates this bucolic wonderland in South Wales. 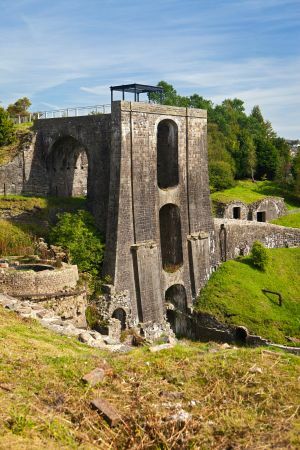 To say that Wales – and Brecon Beacons in particular – embodies the phrase ‘salt of the earth’ may seem both clichéd and obvious. But taken literally, a pinch of Welsh smoked, spiced or perhaps even vanilla salt brings regional flavour to the fore. 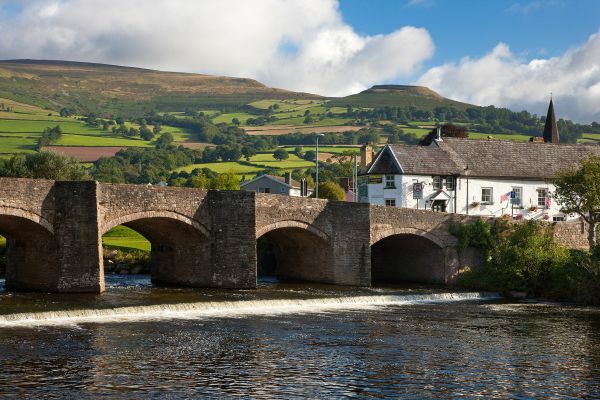 This approachable gourmand sensibility is undoubtedly what’s prompting travelling foodies to make the culinary pilgrimage to the beatific Brecon Beacons and its surrounding counties such as Monmouthshire and Powys. Among them, there are the city-based food philosophers who make the journey with intentions of steeping themselves in a rustic, localised haven of mama-papa suppliers that has become increasingly rare and exotic in contrast with today’s globalised supermarket culture. Not surprisingly, the Slow Food movement has found a welcome home here. Handpicking farm-fresh vegetables certainly indulges the Marie Antoinette-like petite bergère fantasy on which globetrotting yuppies are so keen. Mouth-watering ingredients such as oak-smoked Welsh butter, and lemon marmalade with Brecon Welsh gin can certainly make for fabulous conversational fodder at a grand London dinner party. But, make no mistake, sojourning city slickers get more than the requisite case of the cutesy quaints from this farmland swath. The region is rife with national and international culinary provenance. In the mediasphere, Abergavenny chefs Shaun Hill (The Walnut Tree) and Stephen Terry (The Hardwick) have both appeared on BBC’s Great British Menu, and one of Sosban restaurant’s directors Simon Wright is an advisor on Channel 4‘s Ramsay’s Kitchen Nightmares. The Brecon Beacons vicinity has been sprinkled with its share of Michelin Star-dust as well. Chefs Stephen Terry and Rupert Taylor sharpened their chops at tri-starred eateries La Gavroche and Heston Blumenthal’s The Fat Duck, respectively. Chef Hill’s Walnut Tree has held onto its star since 2010. However, it is – truth be told – wiser not to mention Michelin, as diehard Welsh gastronomes tend to scoff at the French honour. Some believe it’s the culinary ‘kiss of death’ as its bestowing sets up lofty expectations that must henceforth be met. Others feel it’s overrated. And then there’s the matter of Welsh pride. In the produce realm, efforts have been made to reward Welsh culinary excellence via a more local system of honours: Wales the True Taste: Food and Drink Awards (a government initiative that’s celebrating its 10th year). Cross-pollination is also a way of life amongst food producers. The Welsh Venison Centre sells Talgarth Mill flour in its shop; on the menu at Talgarth Mill’s café, a delicious chicken salad with fresh, sprightly greens from Primrose Organic Centre; and Blaenafon Cheddar Company works with Black Mountains Smokery to smoke some of its cheeses. The former is located in Blaenavon (spelled the English way, with a ‘v’ rather than a Welsh ‘f’ – a fact that has clearly not gone unnoticed by the patriotic cheese producer). The town happens to be a World Heritage Site known for its Blaenavon Ironworks and Big Pit Colliery. In fact, Blaenafon Cheddar Company matures its Pwll Mawr (translation: ‘big pit’) cheese at the bottom of the Big Pit mine shaft, where a different pressure level has an intended affect on flavour. “People have moved away from France to make particularly special cheese like in Wales,” notes William Hutchings, who owns The Bell at Skenfrith. Clearly they’re looking for a uniquely Welsh ‘beth bynnag’ (rough foreigner’s translation: je ne sais quoi). Part of that Welsh ‘X factor’, especially around the exuberantly lush Brecon Beacons, seems to revolve around a sense of the wild and unbridled forces of nature. Just try to venture to the virtually inaccessible Sgwd Isaf Clun-Gwyn waterfalls on Brecon Beacons parkland for a sense of this. Clearly, there is something at once raw and daring about the area and its lively local colour. Chef Stephen Terry in many ways personifies this. 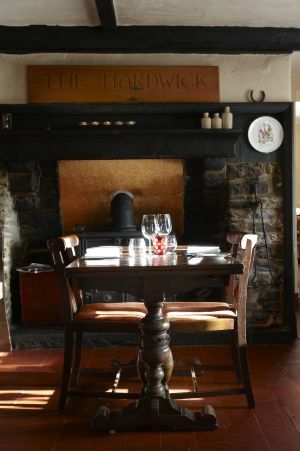 His pleasantly isolated Hardwick inn and restaurant feels as though it is miles from civilisation. Upon entry, visitors are faced with a combination bar/reception (a spirited welcome for weary travellers in dire need of a nightcap). The main sitting room is festooned with Old World ephemera; a map and the requisite lodge adornments: mounted, stuffed heads of a boar and deer. Terry’s enthusiasm is mile-a-minute in tempo as he speaks proudly of the cosy, oaky, homey inn he fashioned bit by bit from his own aesthetic and culinary tastes. “I want something that’s got soul and character,” he beams, pointing out a stick in the corner of the sitting room, an objet trouvé from one of his woodland walks. Certainly the display of antique pots and pans that line the old fireplace in a low-ceilinged dining room oozes this sensibility. This country quaint design detail starkly clashes with a trio of male diners in button-down shirts and ties, who’ve clearly made the trek from some metropolitan area. As Chef Terry bounces restlessly on his toes – the glimmer of an idea apparent in his eyes – he announces off-the-cuff that he’s decided right then and there to craft a bespoke dish for my small group of four: ham hock topped with poached quail eggs, complimented by skinny chips. When I ask which dish is his favourite he says, “They’re all my little babies,” blushing and smiling like a man in love. The verdant and seemingly unending Brecon Beacons landscape and The Hardwick’s warm and welcoming interior are certainly replete with their share of rustic romance. But, as Hutchings implied, and most foodie visitors to the region discover for themselves, the forces of culinary inspiration and passion can be just as potent and all-encompassing as falling in love. A good article but your writer has taken the easy option of just visiting well known restaurants in the area. We have some truly great places to eat but they tend to get overlooked by the ones which have a higher profile. For example, Restaurant 1861 in Cross Ash just outside Abergavenny has a truly remarkable chef in Simon King. The restaurant itself is extremely attractive and its location is lovely. Just because a chef has achieved a high profile through the media it does not mean that he/she is the best chef in the area!